It's nearing Valentine's Day which means the floor by my desk is a disaster area. I send my girlfriends love notes on the 14th. I like Valentine's Day to be about the message. It kind of drives me crazy how it's become a second Halloween in the schools but I play nice. These lollipop "matchbook" covers are quick, cute and easy, and they satisfy my need for things to be handmade with kids' need to be sugary. 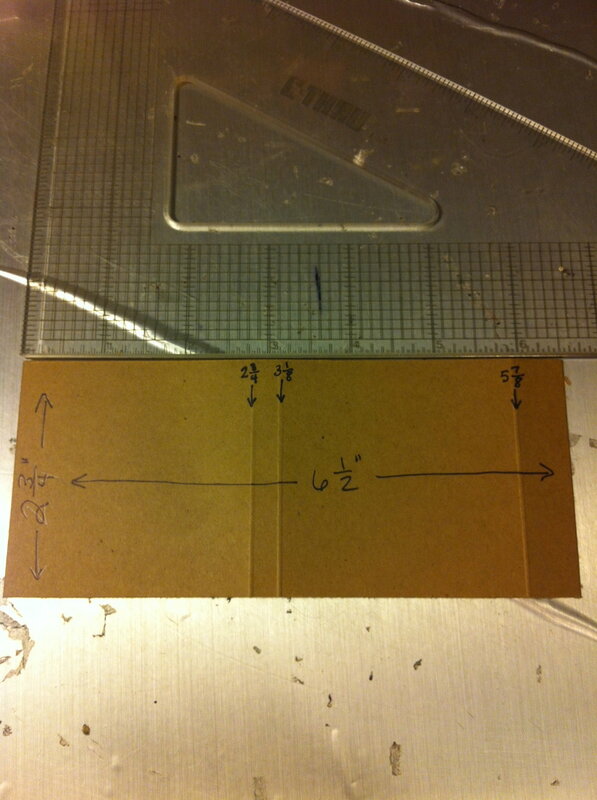 For your generic lollipop, a piece of cardstock 2 3/4" wide and 6 1/2" long will do the trick. Score at the 2 3/4", 3 1/8" and 5 7/8" mark. You need to punch a hole in the center of the thinnest section for the stick of the lollipop to go through. A hole punch seems the obvious answer, but unless you have one of those special long-nose kind, it won't reach to the center. 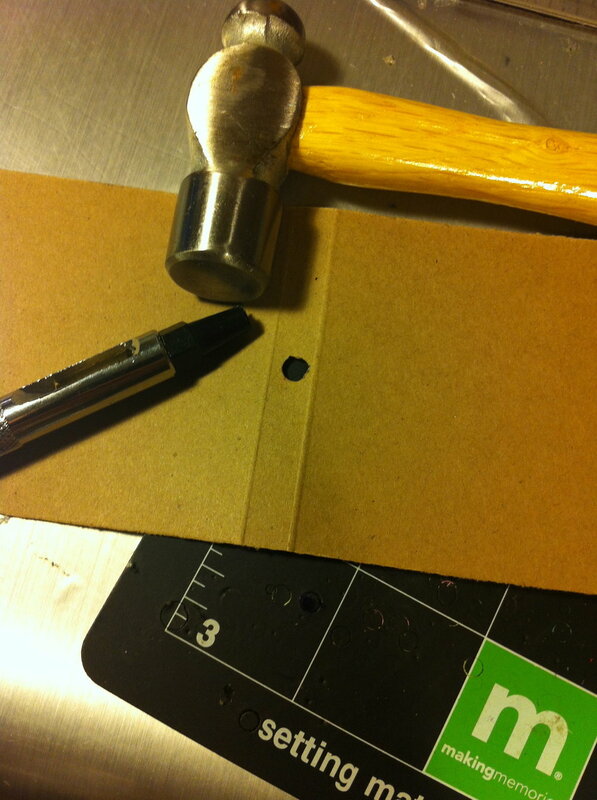 Among my more obscure craft supplies is this hand punch, hammer and setting mat. I think it's to set eyelets. Tell you what: I'll just leave you to fend for yourself on this step. The cover is now made, now you just need a little (or a lot) of decoration for the front. Redman's sole directive is that his Valentines not be too "lovey mushy". So we went through my drawers of rubber stamps and he picked this friendly one, to be stamped in brown and blue ink. We mounted it on red paper and stuck it to the front. Then slide the stick of the lollipop through the hole and stick down the flap in the back. Done and done. Panda adopted the same matchbook design, but skipped the lollipop in favor of a single heart-shaped chocolate. 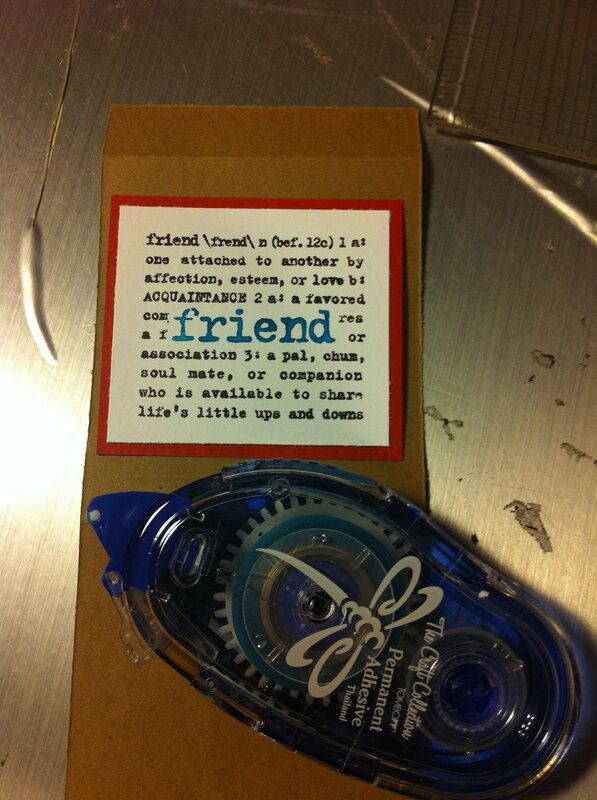 These go to her girlfriends as there seems to be an indefinite hiatus on boys receiving Valentines.